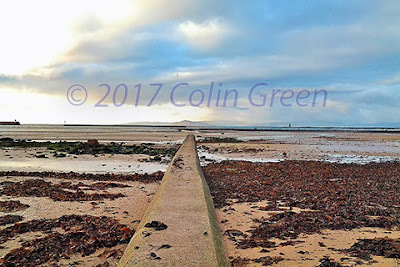 Colin Green Photography: Ardrossan Beech, Ayrshire, Scotland. Ardrossan Beech is a set of pictures in 6 pictures taken on the 28th November 2013 in Ayrshire, south-western Scotland. They were taken using a Samsung Galaxy tablet computer and were one of the things that sparked my interest in photography. There not the best set of photographs but then they don't have to be as this is only a hobby that I enjoy and I'm the first to admit I am unlikely to be the world's best photographer, but it gets me out of the house and it's fun. 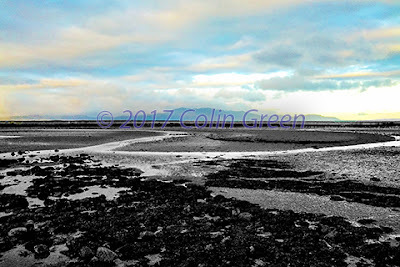 These pictures were taken on the north shore Ardrossan beech which overlooks the Firth of Clyde and the Isle of Arran. Use the arrows to navigate the album. There are also 2 Clickasnap exclusives and by viewing them there you help to support my photography. There can be viewed full size, resolution, and with no watermark by clicking the link under each picture. Click here to view best Quality "Straight Ahead the Horizon" on Clickasnap. Click here to view best quality " Shadows of an Island" on Clickasnap.